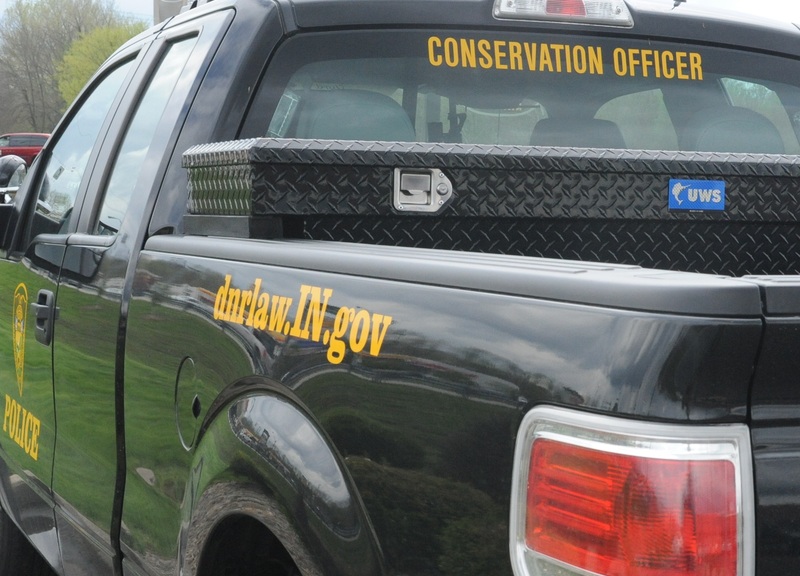 Indiana Conservation Officers have a broad range of law enforcement responsibilities and are specially trained and equipped to respond to the worst conditions and terrain that Indiana has to offer. Today, those skills and equipment were requested in Indianapolis. Just after 3 p.m. Monday afternoon, Indiana Conservation Officer Nick Wilson was contacted by Marion County Dispatch to assist with a search for a suicidal subject somewhere along the White River on the southwest side of Marion County. Marion County dispatch had received a call from the subject who had stated he was attempting to take his own life. The subject could only advise a location somewhere along the White River near Southwestway Park. Dispatch was able to obtain a GPS location from the victim’s phone, but this still left a broad search area. ICO Wilson responded with his issued ATV and began searching along the river south of the park property, while IMPD units searched the trails within the park on foot. After patrolling nearly to the Morgan and Marion County line, ICO Wilson was contacted by dispatch that the victim could hear the ATV in the distance, but the victim kept coming in and out of consciousness. ICO Wilson was able to narrow the search area and locate the victim a short time later. It was confirmed that the victim had ingested a large amount of alcohol and possibly prescription medication. The victim had also severely cut his wrist. ICO Wilson was able to render lifesaving first-aid that included applying a tourniquet to the victims arm to slow the bleeding. Due to the remote location, an Indiana State Police helicopter was used to relay ICO Wilson’s location to EMS and other first responders. ICO Wilson continued to administer first aid to the victim for approximately 20 minutes until EMS could navigate the terrain to his location. The victim was then hauled out and transported to IU Health Methodist Hospital in serious condition. ICO Wilson was assisted on scene by IMPD, ISP and Decatur Township Fire and EMS.